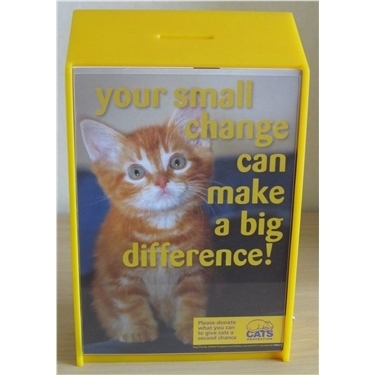 Collection tins remain an important part of any charity's fundraising efforts, and Cats Protection Horsham and district branch is no exception. After counting up the takings from our collection tins at Waterstones and Nories Pharmacy, we're pleased to announce that we've raised an excellent £144.24 thus far this year. Thank you for your generosity, everyone (and to Waterstones and Nories for having our collection boxes in the first place) - every little really does help!